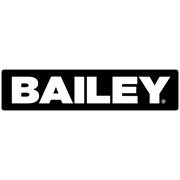 Bailey’s Professional Roof Worker Kits provides all of the critical components of a Fall Arrest system for people undertaking work on an exposed roof. 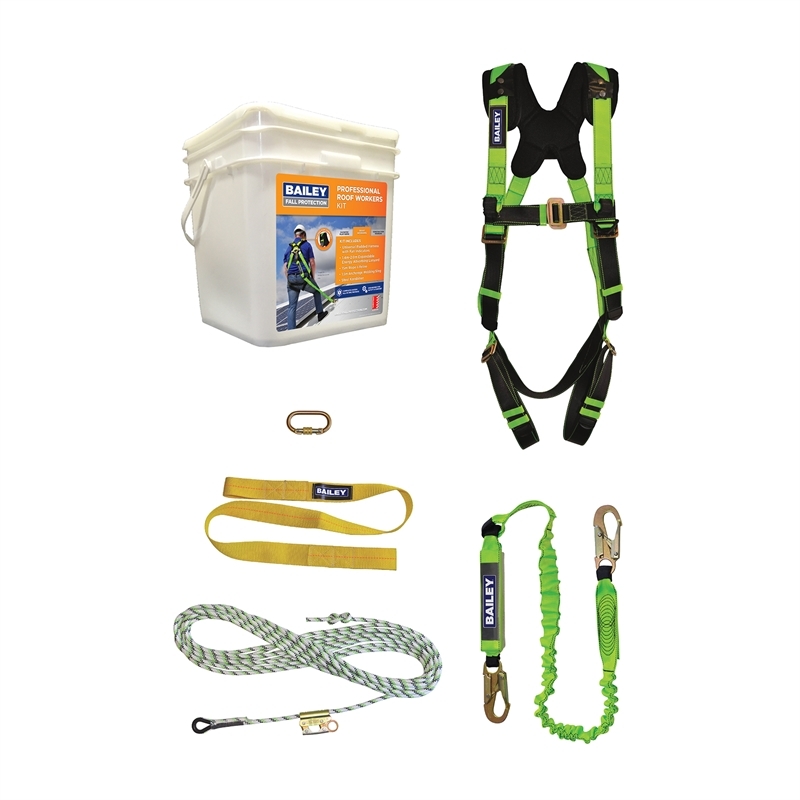 This kit is suitable for applications including Plumbers, Roof Workers, Maintenance, Solar Panel Installation, Agribusiness, Electricians, Labourers and DIYers. Designed for extra comfort and safety. 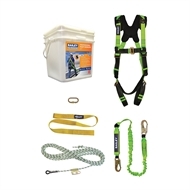 Suitable for all day use with padded shoulder straps and integrated fall indicator.